Gaspari Nutrition Precision Protein at Bodybuilding.com - Best Prices on Precision Protein! if we divide 1800 gram with 32 gram it come 56 servings why your site says 61 servings? Its amazing. I use it in shakes and overnight oats. No clumps, it tastes great, no aftertaste and is just all around top notch. I love it! Best tasting protein shake I have ever drank. The blueberry muffin legit tastes like a blueberry muffin. Very light to drink and easily mixes with water. flavor/mixability...PP mixes up very nicely in either milk or water, no clumping, foaming or residue. when you first open the the tub the aroma is intoxicating, this smells delicious! the Cinnamon Cereal Crunch flavor is very light and subdued. i would have preferred a bit more Cinnamon punch here but thats just my opinion. the texture is nice and creamy, naturally moreso in milk than water. 8/10 forumulation....i love the quality of Gaspari products and PP is no exception. Gaspari introduces a new process here called Embedded Enzyme Technology. EET is engineered to selectively release Leucine peptides producing an increase in muscle synthesis and growth. 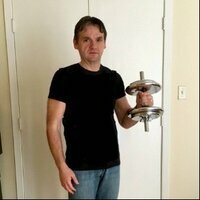 whole the science of this is beyond me im all for increased rates of recovery, muscle growth, and performance! 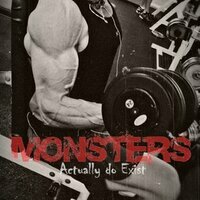 Gaspari also guarantees that there is zero Amino Spiking in their PP. nothing but quality ingredients produced in a cGMP certified manufacturing facility. 10/10 macros...in a serving of PP you get 25 big grams of gluten free protein and 130 calories. add in a minimal amount of fat, carbs and sugar and you have protein that will fit into any diet. 9/10 value....some might say that at roughly 37.00 for 28 servings, PP is a bit on the pricey side. im of the thought that you get what you pay for and over the years Gaspari consistently produced top quality products! 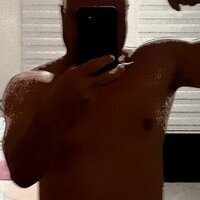 9/10 overall...i was very happy with Precision Protein and would not hesitate to recommend it to anyone that asked. I had the opportunity to try Neapolitan Ice Cream as was so pleased with the flavor, quality, and profile of Precision Protein. The flavor was excellent in everything I mixed with it. I had it in 2% milk, cold water, Greek yogurt, and made overnight protein oats with it. I really tasted the strawberry and chocolate, but the vanilla was absent. It fits my macros exceptionally well. I like the fact it is a 32g scoop but yields 25g of protein. The fats and carbs are all great. Gaspari uses hydrolyzed whey, which is top quality. 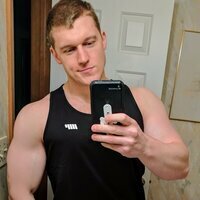 Overall, very happy with Precision Protein, and will be trying other flavors in the future! I bought the Neapolitan Ice Cream and the Blueberry Muffin flavors on Black Friday and have been using both flavors for a couple weeks now. Mixed with water, the Neapolitan was good and the Blueberry was ok, though a bit starchy. Mixed with skim milk, both flavors were very good. Mixed with FairLife, both flavors were amazing. All around, I liked the Neapolitan flavor better in all the shakes. Of course, this will depend greatly on your personal taste. I also tried two recipes (ice cream and waffles) and both flavors behaved and tasted VERY WELL in both recipes. The profile is very good! The price is a bit steep, but this is a high-quality product, so you get what you pay for. 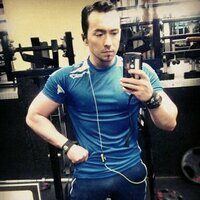 I would like to see Free Shipping from Gaspari. That would help lower some of the cost. If you see this on sale, any kind of sale, don’t let it pass. You will not be sorry you bought it. I recommend this and would buy again for sure. 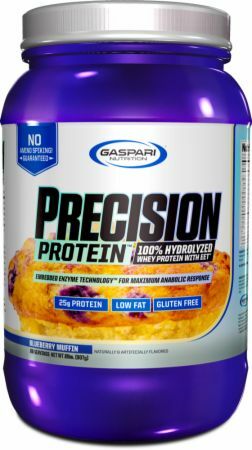 Gaspari Nutrition's Blueberry Muffin Precision Protein is an incredibly tasty, cleanly formulated whey protein product. Each serving delivers 25 grams of hydrolized whey protein in a phospholipid matrix, 2 grams of fat, and 2 grams of carbs for $1.32 per serving at the 2 lb size or $1 per serving at the 4 lb tub size. It is a simple, straightforward yet excellent formula - absolutely no criticism. The blueberry muffin flavor is awesome! Have always been impressed with Gaspari's protein powder flavors. The taste of the blueberries comes through perfectly with the doughyness of the muffin flavor. It really hits the spot! It's really a treat and I'm very impressed with this flavor and think it is a must try for connoisseurs of protein powders. The powder mixes very well without clumping or excessive bubbling. It has a nice smooth texture to drinking it and is good in milk or water, but obviously richer in taste in milk. Flavor and the overall rating for Gaspari's Blueberry Muffin Precision Protein is 10/10. One of the best products i've ever tried. The quallity of protein is amazing, tastes good and the mixability is very clean. The Cinnamon Cereal is good but not special. Tastes like a Vanilla whey with some cinnamon. But It's so good to cold days with hot oatmeal. But Blueberry Muffin Flavor is just amazing!!! I loved it! Tastes Like a real Muffin with buttery flavor... Just the best flavor of the brand! Since I've tried Blueberry Muffin flavor i mix with some overnight oats and tastes like a real dessert! these ingredients are not good for your health always check this before buying your whey Artificial Flavors, , Salt, Sucralose, Maltodextrin, Acesulfame-Potassium, FD&C Blue #1, FD&C Red #40. I bought the Vanilla Ice Cream and to me mixed with unflavored almond milk it taste exactly like Breyers Ice Cream. No clumps, grit or bloat. It goes down real smooth and virtually has no after taste. Not a thick, filling shake if that's your thing. For me I actually prefer my shakes somewhat on the thin side for easy quick drinking. I also tasted the Chocolate Ice Cream which my cousin bought. I liked that one too and plan on getting it. To me the chocolate taste more like chocolate milk than ice cream. Not a bad thing. I haven't tried Gaspari since way back with the original Myo-Fusion formula, which btw, tasted too good to be true. Like the profile on this one better. I'm impressed. Cinnamon Cereal Crunch flavour. The protein mixes well and has great texture. The cinnamon cereal flavour is subtle in 8oz of milk. To me, that's a good thing. You know that milk at the bottom of the cereal bowl? Well, that's what this tastes like. Cinnamon Crunch 6/10 Very solid profile and quality protein formula, however I was not a fan of the new Cinnamon Crunch flavor. Flavor was completely lost in plain steel cut oats and a bland cinnamon flavor in Fairlife milk. 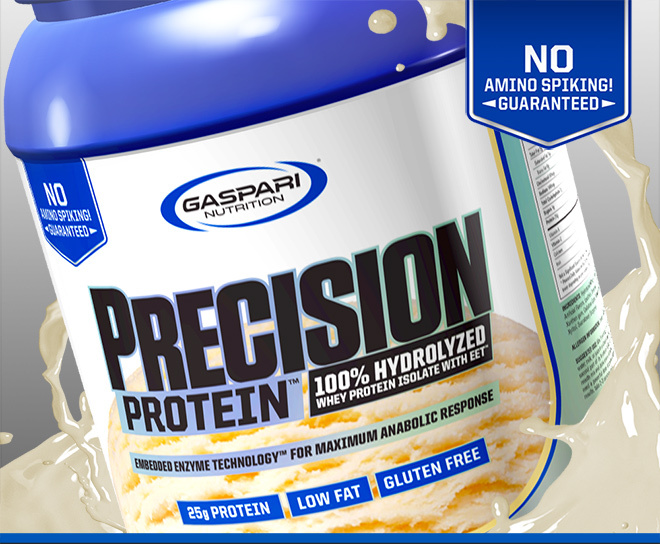 Precision Protein by Gaspari Nutrition is a great whey isolate protein with a transparent and clean profile. It boasts 25g of protein per scoop which is right where I like to see isolates, low fat and low carbs as expected. I dosed Precision Protein as a post-workout mainly, found it to mix very well with tap water, no graininess and hardly any clumping. The Neapolitan Ice Cream was good, and for a first attempt at this flavor, from what I've seen, I think Gaspari did pretty well here, but I am curious about the Vanilla as many folks seem to really like it. 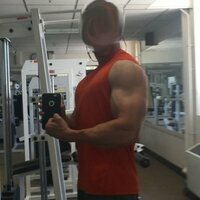 Full disclosure, I did seem to be quite gassy taking this lol, but all in all, Precision Protein did the trick. It was enjoyable and tasty and helped me hit my protein intake for the day. Hydrolyzed Whey Protein Phospholipid Matrix, Natural And Artificial Flavors, Cellulose Gum, Salt, Sucralose, Maltodextrin, Acesulfame-Potassium, FD&C Blue #1, FD&C Red #40. 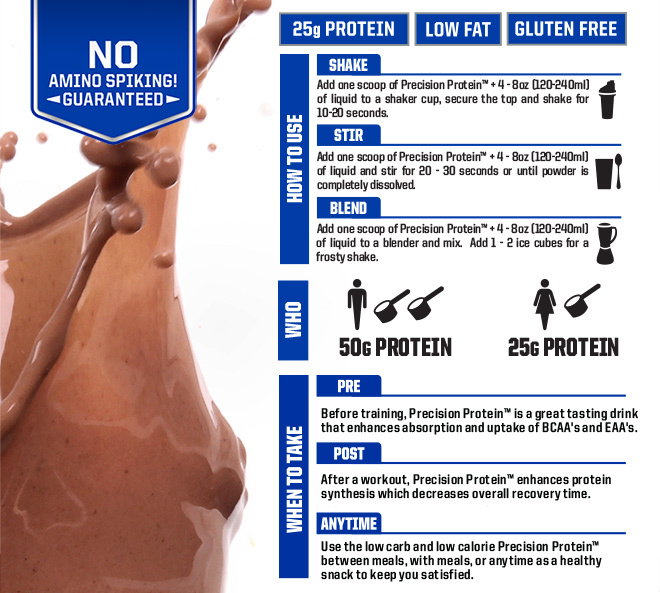 Directions For Precision Protein: Mix 1 serving (1 rounded scoop) with 4-8oz (120ml-240ml) of water, milk, or juice in a shaker cup and shake well. For best results mix and drink immediately before and after your workout or whenever you need a powerful dose of protein and anabolic Leucine peptides. For maximum results, take 2-3 servings daily.